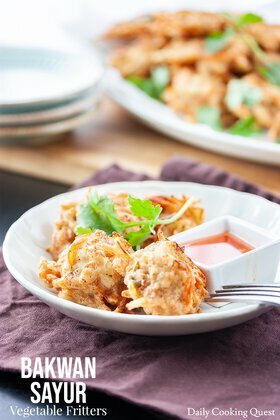 Kimchi is a really handy item to stock at home, it is refreshingly good as a side dish, or when cook with fried rice, and it is one of the easiest and tastiest Korean pancake you can make. 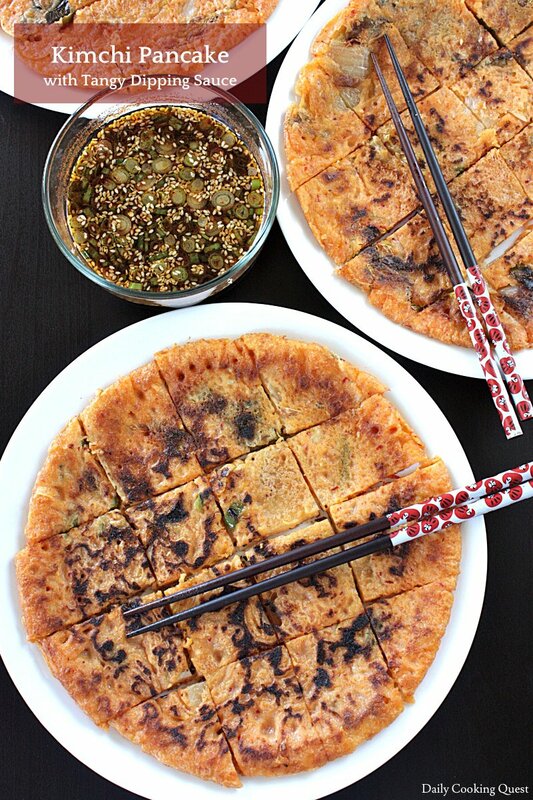 Today I am sharing two recipes with you, a kimchi pancake recipe along with the recipe for tangy dipping sauce that goes really well with the pancake, or any Korean pancake for that matter. 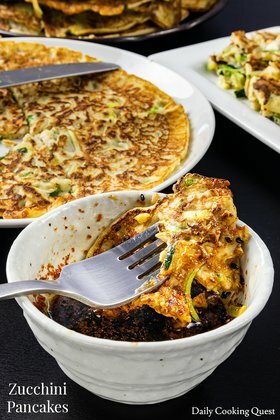 To make the pancake, first mix together all purpose flour, salt, and ice cold water, then add egg, kimchi, and chilies. Since everyone agrees that crispy pancake is better than chewy pancake, the batter needs to be as cold as possible, and to help that, please add 4-5 ice cubes into the batter mix. Fry the pancakes with a non-stick pan or a cast iron skillet, and if you use a 10.25” cast iron skillet like me, you should get a total of 4 pancakes, which is pretty plenty even if you have guests coming. The tangy dipping sauce cannot be easier, you simply mix together sugar, soy sauce, water, rice vinegar, gochugaru, sesame seeds, sesame oil, grated garlic, and chopped scallions. If you want to make the sauce ahead of the time, please leave out the garlic and scallions from the sauce, and only add them at the last minute prior to serving with pancakes. Whisk together all purpose flour, salt, and water, then add egg, kimchi, kimchi liquid/juice, chilies, and mix well. Finally, add 4-5 ice cubes to keep the batter cold. Heat 2-3 tablespoon oil in skillet/non-stick frying pan over medium high heat, then once the pan is hot, ladle pancake batter to the pan and spread evenly (about 1/4 of the total batter). After 30 seconds on medium high, reduce heat to medium, and once the edges look cook and more solid, flip the pancake to cook the other side, pressing lightly with a spatula to make the pancake crispy. Remove cooked pancake to a plate, and repeat the process for 3 more pancakes. 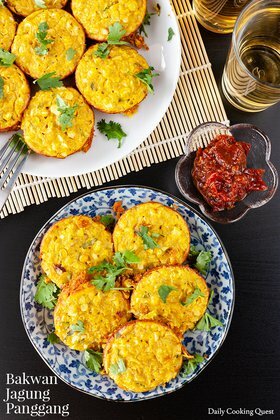 Slice the pancakes into bite sizes and serve with the tangy dipping sauce. If you make the sauce right before serving the pancake, simply mix everything together. But if you want to make the sauce ahead, mix everything except garlic and scallion, and only add those two ingredients prior to serving. I am obsessed with kimchi - literally can eat the whole jar in one sitting (which probably can't be good for me) so I need to make this. Love the tip about using ice cold water to get the batter to be crispy -- I do that when making tempura batter! What a great twist on pancakes. That dipping sauce sounds amazing, and so many other things you can use it for too. 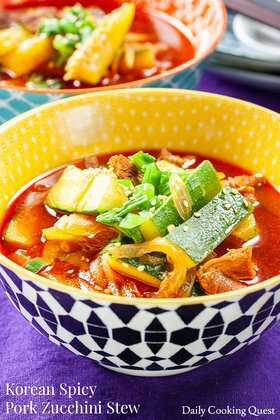 I've got a jar of kimchi in the fridge, and this is the perfect way to use it! Oh man! I've had these at a restaurant before and they are delicious! 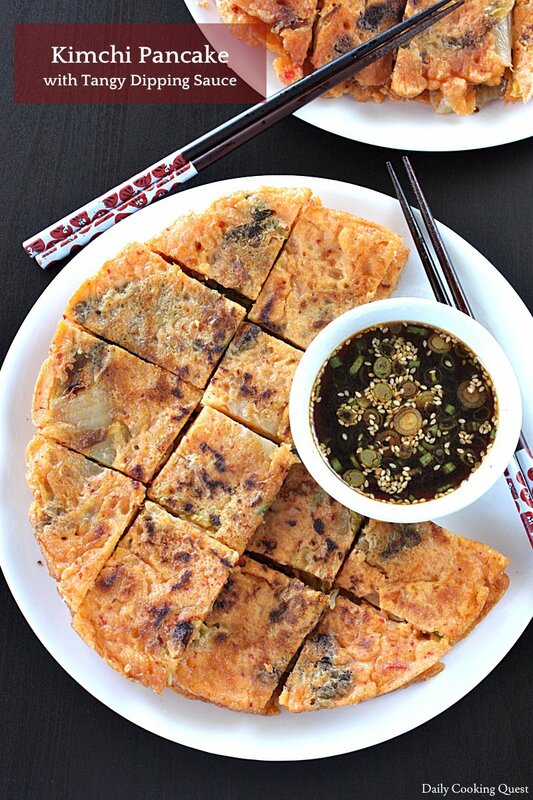 Seriously, the best Asian street food! I'll have to get inspired to make these at home someday.